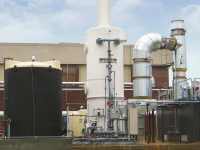 Have technical questions about your air pollution or water/wastewater application? Monroe Environmental has been designing and manufacturing high-quality air pollution control and water/wastewater treatment systems since 1970. 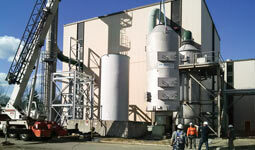 Each system is designed for your unique plant and application — a true pollution control solution. Let Monroe design and build your next clarifier, air scrubber, dust collector, or another custom treatment system to your specifications. We also offer installation, rebuild, retrofit, and parts replacement services. Just let us know what you need and we’ll design a system that works for you. Please contact a Monroe Environmental expert today to review your requirements. We have over 45 years of engineering, application, and manufacturing experience and expertise to deliver the right solution for your plant. Quality you count on. Proudly designed, engineered, and manufactured in the USA. 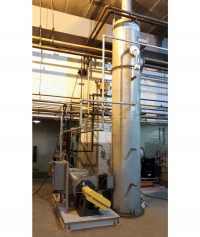 Monroe's Air Stripping system was needed to increase the purity of recycled ethylene glycol by removing excessive ammonia (NH3) for an industrial solvents facility. 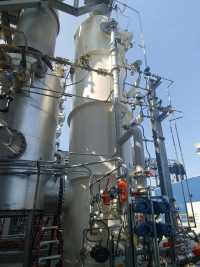 Monroe Lamella Plate Vertical Clarifier for the reduction of cobalt hydroxides from a process water stream at a petrochemical plant. Monroe Environmental’s rental API Oil/Water Separator was selected by a Texas refinery for 500-600 gallons per minute (GPM) wastewater treatment. 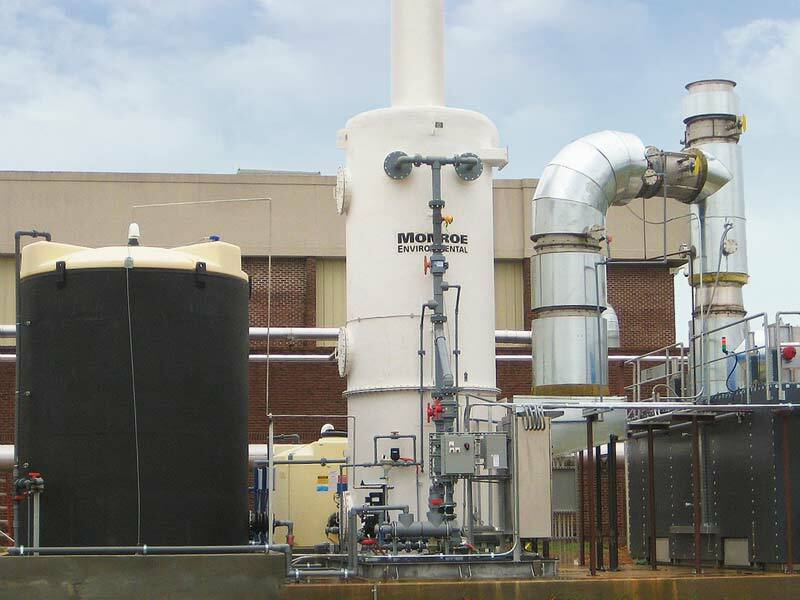 Stay informed about air pollution control and water/wastewater treatments applications and solutions from Monroe Environmental. Subscribe to our newsletter.